In our generation we have realized the importance of preserving our environment and our planet; hence, ‘green’ technology and solutions in daily life are everywhere. By going ‘green’, a company or organization can improve the amount of business they receive. Many people are more eager to work with a company that shows environmental conscientiousness. Audiovisual technology is one innovative way to improve the efficiency of a business. When you take a look at the capabilities of audiovisual technology, low impact on the environment is an inherent quality. 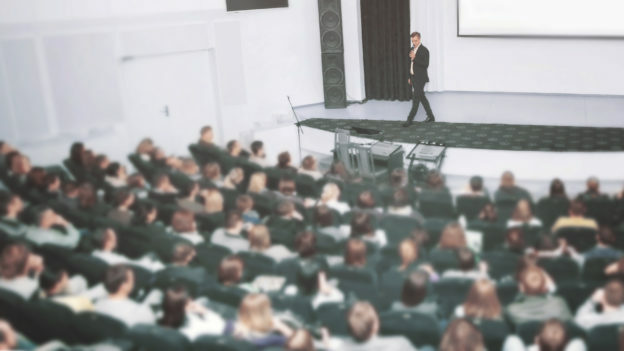 For one thing, use of audiovisual technology in conferencing can keep down the impact that would otherwise need to be used for travel. Today, many audio-visual companies practice a minimal travel philosophy of business. They will utilize their own technologies for video conferencing and TelePresence to hold meetings, which simultaneously allows for efficient meetings and low-impact via not traveling. To complete their efforts, many audio-visual installation companies have gone paperless, meaning that whenever possible, documentation is completed and filed digitally through e-mail and the internet. Technology like projectors and LED screens can be certified by Energy Star. This ensures that they do not use more energy than they should. Powering your audio-visual technology using solar panels is also another great way to reduce the impact of this technology on the environment. On average, solar panels can save an impressive amount of money each year. Businesses who really want to reduce their impact on the environment would be wise to invest in solar panels. Since many components of audio-visual technology are not the most efficient energy burners, getting power through solar panels is a great way to go green in conjunction with this technology. Another key benefit of going green is the cost efficiency. While many of the components for going green may cost a bit more up front, the amount of money saved over the years is staggering. By using energy efficient projectors and screens, the power bill for a business can be reduced drastically. To reduce this cost even more, solar panels are a great option. When used, they can nearly eliminate the need for power from a power company. Going paperless is also extremely cost-effective. It will reduce the amount of money spent per year on reams of paper, and allows for a very efficient and organized way of doing business and keeping documentation. Travel costs are rising exponentially each year with high increases in petroleum oil. All forms of travel whether it is driving, air travel, or even public transportation such as trains or buses are priced at an all-time high. It is no longer cost efficient to fly employees from one location to another for business meetings. By going green, you will drastically reduce the cost of travel each year. Overall, when you go green, cannot lose. You are able to potentially increase your return on investment (ROI) by decreasing the yearly costs on materials, travel, and resources. Simultaneously, people will be more willing to do business with companies that show they care for the environment, increasing the chances for new clients and prospects. Finally, going green with audio-visual technology will allow your company to reduce its impact and help preserve our earth and its precious resources.